As we depend more and more on digital screen technology, we are vulnerable to artificial blue light exposure for longer periods of time on a daily basis. Computers, flat-screen TVs, tablets and cell phones are all examples of electronic devices that employ blue light technology. A particularly powerful source of blue light waves is found in any gadgets that use LED backlights to upgrade clarity and brightness. Studies show that 60% of all people spend about 6 hours per day in front of some type of digital electronics. Yet after a mere two consecutive hours on a digital device, eyestrain and fatigue begin to set in! That means that a huge number of people are suffering from the risks and damaging consequences of blue light. In our San Jose office of Berryessa Optometry, we regularly diagnose and treat patients for the irritations and discomfort caused by excessive blue light. Once upon a time, carpal tunnel syndrome was cursed as the most common computer-related medical complaint. Digital eyestrain has now taken its place. Digital eyestrain and eye fatigue refer to the range of symptoms and conditions that result from using electronic technology day-in and days out, such as your cell phone, computer, TV or video game. Symptoms include difficulty with accommodation (focusing), Dry Eye Syndrome, blurred vision and headaches. Digital eyestrain is regarded as a serious medical condition that affects adults and children alike. With personal smartphones, e-readers and video games, kids spend more time with digital tools than ever before. All of this proximity to blue light jeopardizes the healthy development of children’s visual system. Before age 10, kids’ eyes are still developing. Until that time, their cornea and lens are still mainly transparent, which allows a greater quantity of damaging blue light to penetrate. 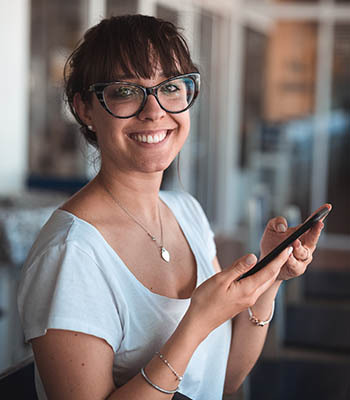 We perform eye exams for patients from the Berryessa region and Milpitas, and a large number of children and adults come in regularly complaining about symptoms caused by digital eyestrain. Digital eye strain impacts your ability to focus and lessens productivity. Most people do nothing to ease their discomfort from these symptoms because they are not aware of the cause. Melanin is your body’s natural protection against the sun and harmful blue light. It’s found in your hair, skin, and eyes. As we age, we lose melanin – with approximately half the protection gone by 65 years old. In general, this makes your body much more sensitive and defenseless against blue light. As science investigates the full repercussions of overexposure to blue light, the evidence is growing that it can cause permanent eye damage. Research indicates that cells in the center of the retina (the thin tissue covering your inner eye) can be destroyed, and the risk of age-related macular degeneration is increased. A Harvard medical study reports that blue light is the most dangerous light for the retina, and chronic exposure will lead to a noticeable rise in the number of macular degenerations, retinal diseases, and glaucoma diagnoses. If you’re experiencing any of the vision complaints caused by blue light, contact us at Berryessa Optometry for an appointment. We’ll help relieve your symptoms and restore your comfortable vision. It is our professional opinion that patients who spend hours on electronic devices are at risk of increased eyestrain and glare, macular degeneration or problems falling asleep at night, and may benefit from minimizing their exposure to blue light by using BluTech lenses or lenses treated with Recharge. If you have any questions, please email our office at info@berryessaoptometry.com or click here to schedule your appointment.